Before the railroad came to Colorado County, this area was the origin of several cattle drives to northern markets. Early settlers in the region were area gravel industry pioneer J. N. Mahon; John Turnbough, a contractor who came in 1877; Rancher J. L. Townsend, who purchased land in 1879 and later served as Colorado County sheriff; T. J. Oakes, A. A. Oakes, and A. J. Folts, founders of a mercantile business that remained in operation for more than 100 years; and the L. H. Schulenburg family, who developed the first addition to Glidden. In 1882 T. J. Oakes sold land to the Galveston, Harrisburg & San Antonio Railway Company. A switchyard, depot, roundhouse, turntable, water well, and section house were built. H. T. Youens was station agent in 1885. The townsite of Glidden, named for railroad engineer F. G. Glidden, was platted that year and quickly developed as a rail center for the surrounding area. Many Scotch-Irish and English railroad workers were attracted to Glidden during its early years. In 1888 the post office was established, and by 1897 a school had opened. Although Glidden has continued as a railroad town, many changes have taken place in the rail industry and in the community. 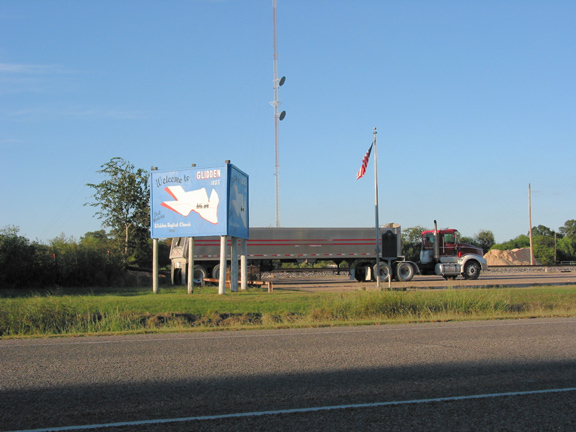 The history of Glidden is an important part of Colorado County's heritage.